La’ James International College prides itself on having exceptionally dynamic facilities that replicate the finest salons and spas in the nation. Click here to download our Guest Service menu. Prices and availability of services are subject to change without notice. Don’t miss our Daily Specials – Book your appointment today! Check our locations page for your nearest LJIC Campus! Step away from the hustle and enter a world of serenity in our lavishly furnished spa. Relax under a glimmering star field while accentuating scents and sounds surround you. 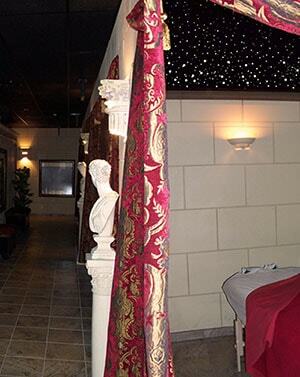 Private treatment rooms allow for customized services. We welcome groups and we are able to accommodate parties, such as weddings, birthdays, and special occasions, as well as hosting large group events for businesses to pamper their employees for a job well done. Spa services include: a variety of massages, pedicures, manicures, body treatments, facials, waxing, and day spa pampering packages. 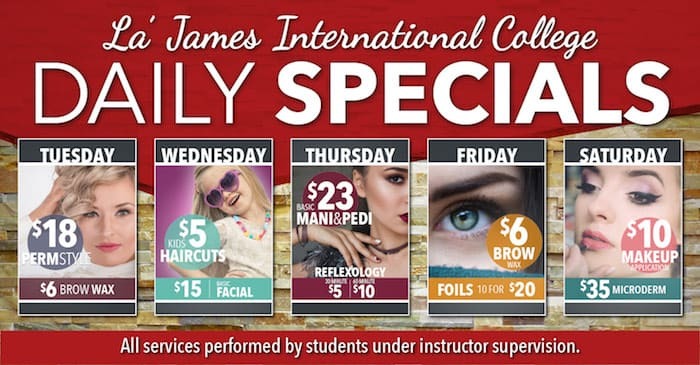 La’ James International College Shades of Expression showcases an array of products and includes demonstration areas designed to educate the guest on the benefits of professional products. To make it easy for our guests to find what they need, our retail store is arranged in an easy layout of displays of hair products, skincare, body care, nail care, giftware, and massage products. Don’t miss out on our monthly retail and service promotions! Our salon design is modern and efficient, mirrored after upscale salons where our highly skilled students perform a variety of hair services under the supervision of our professional master educators. 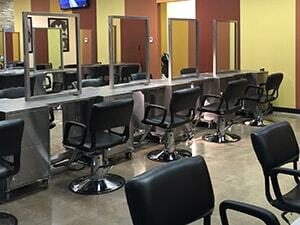 The size of our salons accommodate up to 50 students, allowing convenience of multiple guests, walk-ins and last minute scheduling with the benefit of immediate service. To keep up with the ever changing salon industry trends, LJIC continues to expand our menu of services. 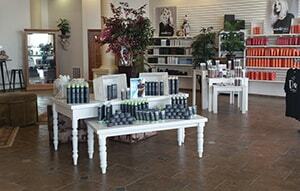 To schedule a service, party or spa package call 1-888-880-2106 and press 2 for Guest Services. To secure your reservation for a booking of a package, group (3 or more) or party (minimum 6) a deposit is required. Send us an email with your appointment request!